This is what I’m roasting and drinking. Four coffees from Sweet Maria’s, and I really like all of them. 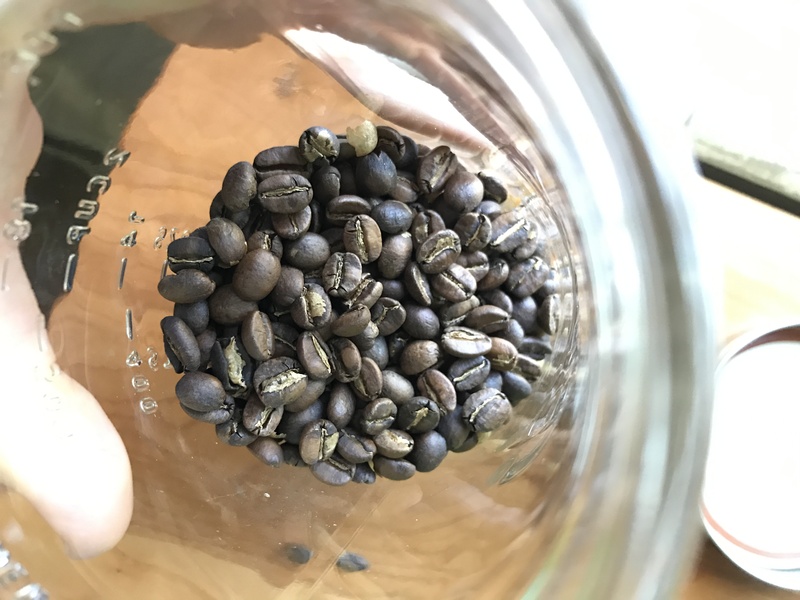 I bought 5lbs from Honduras. 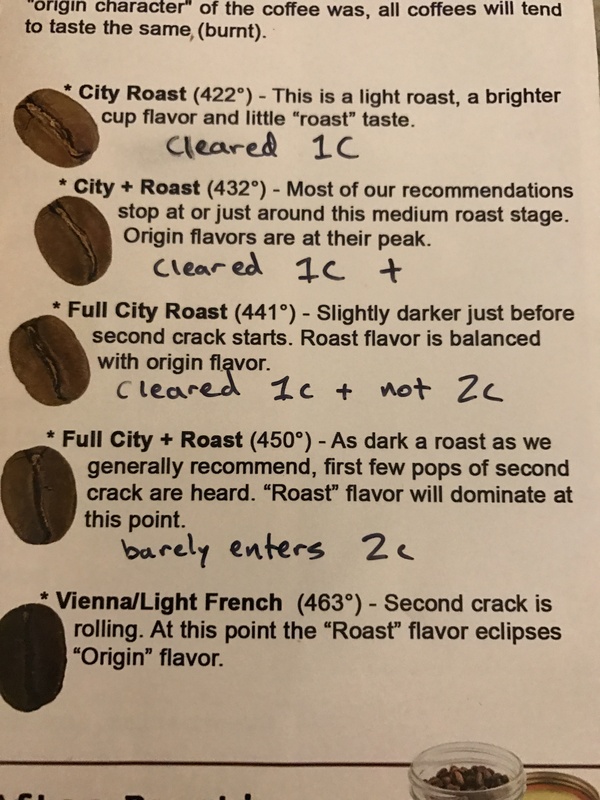 I liked what the flavor profile looked like: cinnamon, buttery, walnut, and good all the way into Vienna roast. This one I like to refer to as “Coffee Cake”, though it is subtle. 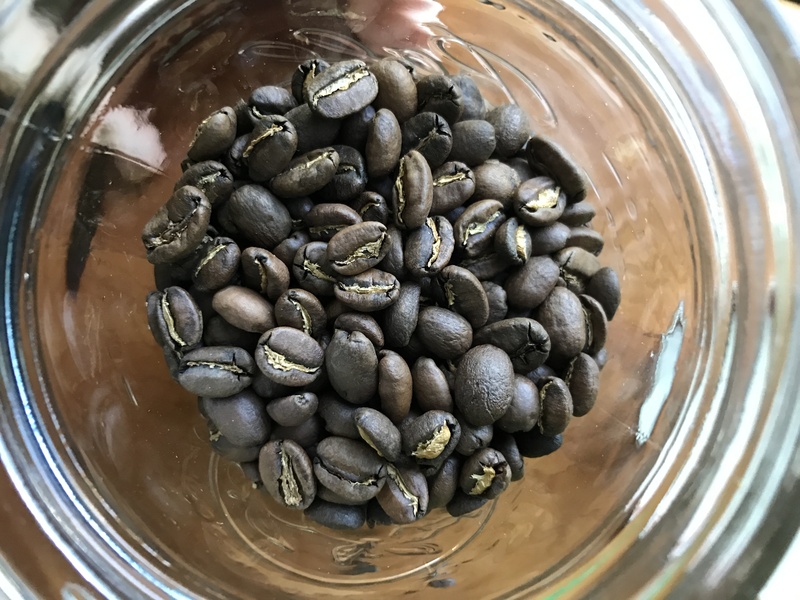 I imagined that the bean would show well and be versatile in the levels of roast, the way it is brewed, and if I happen to infuse it with whiskey (which I did, and haven’t tasted yet). Crowd-pleasing coffee. 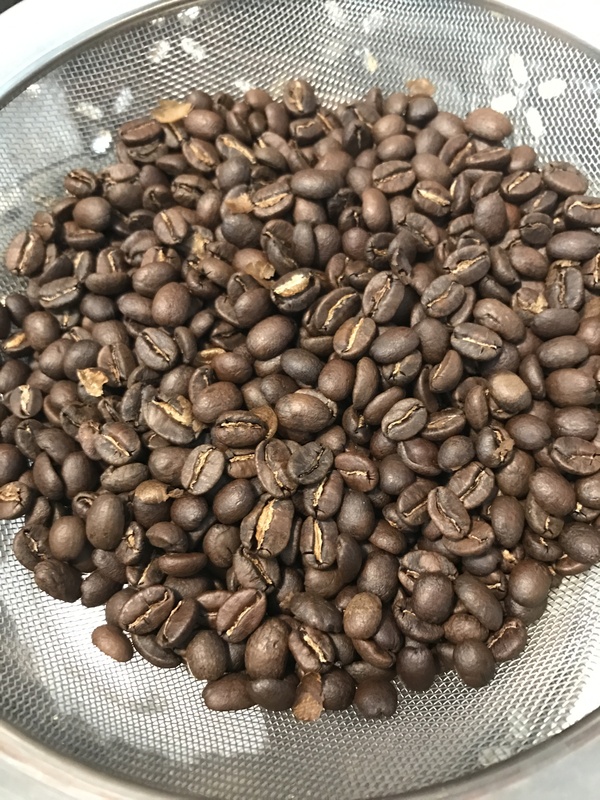 I also wanted to venture out into some African Coffees, and I bought beans from Ethiopia (Ethiopia Shakiso 2lbs) and Rwanda (Rwanda Karongi Gitesi 2lbs) that are nicer in the lighter roasts. Most people I don’t think are used to a good African coffee. 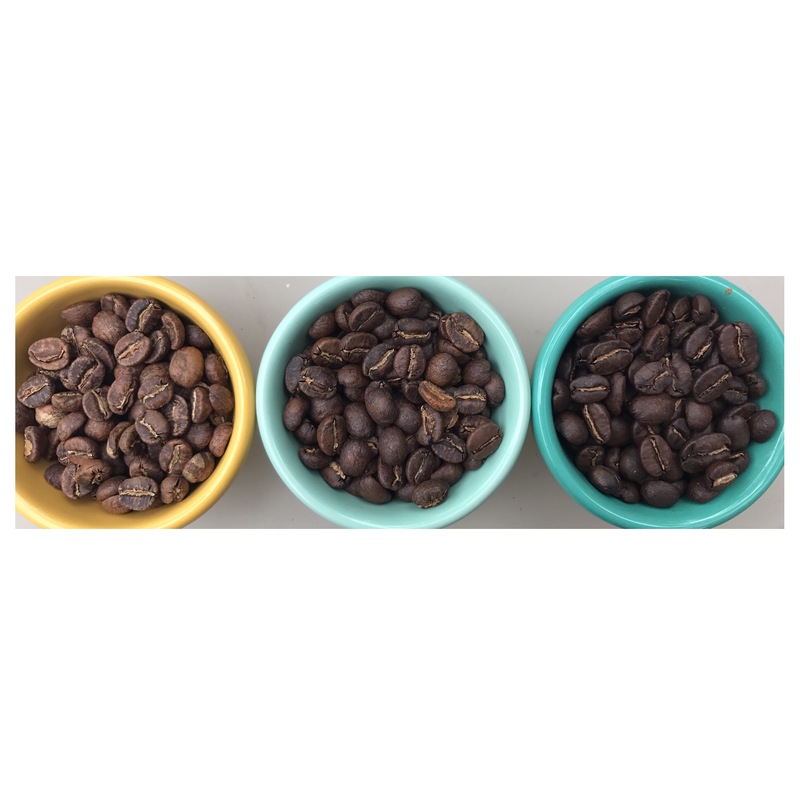 They tend to be a bit more acidic (citrusy), and don’t lend themselves as well to darker roasts. At the same time they can be very complex with spicy, fruity, and floral notes. 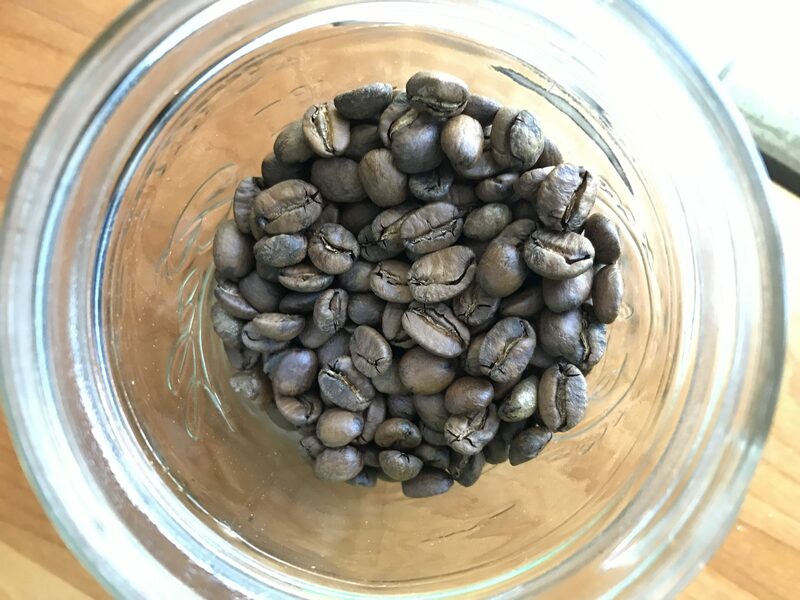 I haven’t been able to get a good test on the Ethiopian that I bought, but it is definitely more tea-like with hints of jasmine coming through, it is sweeter, and if you’re paying attention you might think of cherry cola while you drink. It’s an interesting cup, and I can’t decide how I feel about it. The Rwanda, I think, is my favorite right now. It starts out a bit caramely, honey, tea, and finishes lemony, but in a muted way–like a custard. The roasted beans even have a less classic coffee smell, it’s way more complex, kind of bready sweet flowers. There is a lot you could imagine with this coffee. But it’s not exactly the classic nutty chocolate flavors most people like. Donkey espresso decaf (2lbs). This stuff is what I use for my afternoon latte. 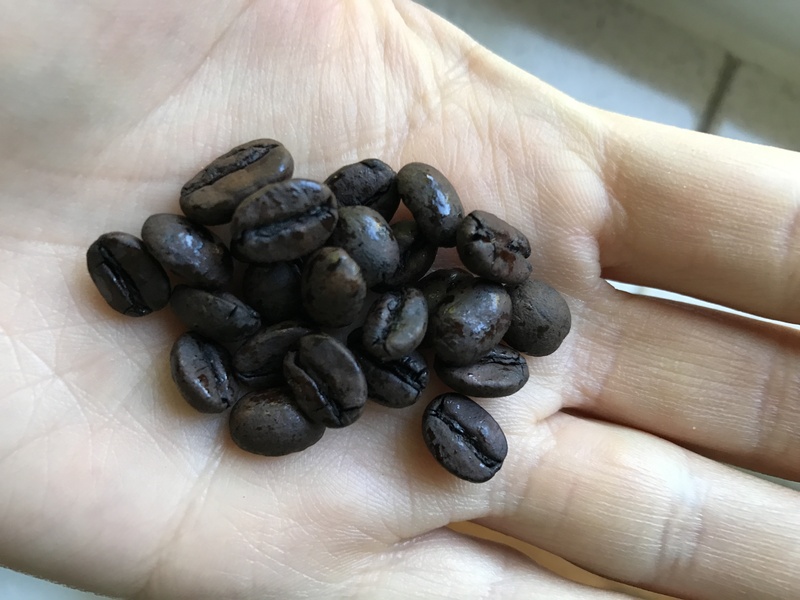 It’s made to be roasted a bit darker, and with a decaf bean, it looks darker than it was actually roasted. Even with my mediocre (at best) espresso pulls, this bean gets good crema, and taste very strong: bitter, chocolate, nutty, dying to be mixed with milk. SM recommends mixing it with another bean, but I think it’s pretty great the way it is. It’s the closest thing to rocket fuel I’ve drank in a while, and that’s saying a lot from a decaf. Booze-infused coffee. I’ve been experimenting with small batches of booze-infused coffee. I’ll let you in on the 6 step process. Morning smells like I’m an alcoholic. I’ve done rum+guatemala (FAV-think bananas foster), rum+el salvador, scotch+guatemala, bourbon+costa rica, bourbon+guatemala, maple whiskey+costa rica, and maple whiskey+honduras. The next infusion will be 3-5lbs with Knob Creek Maple Bourbon turned into a nitro cold brew. It’s a serious experiment. I’m already picking out my next beans. I’m still a little shy of the Indonesian region, but I’ll work my way there. I’ll probably pick out a 5lb bag of central/south and 5lb from Africa. Every time Sweet Maria’s sends out their newsletter with the list of new beans, I’m tempted, but I have to get through what I have. If you’re in Tampa 8oz coffee + dozen eggs $10. Everyone else $8 plus shipping. Venmo (@Paige-Cargioli) or Facebook is great for orders and/or payment. First come first serve.